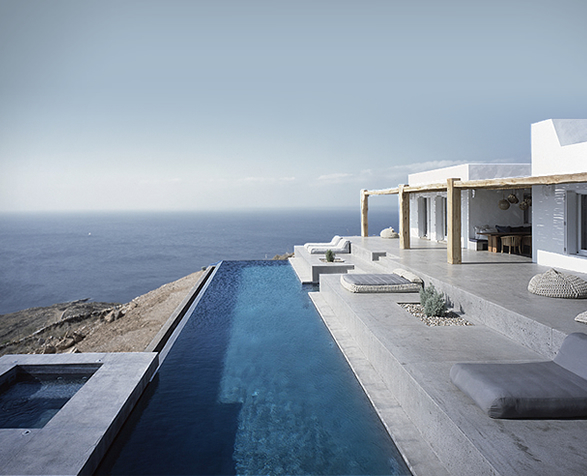 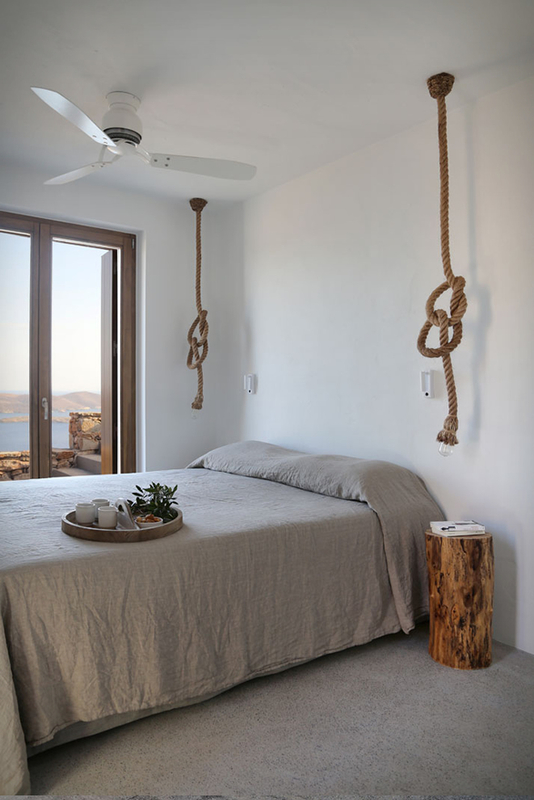 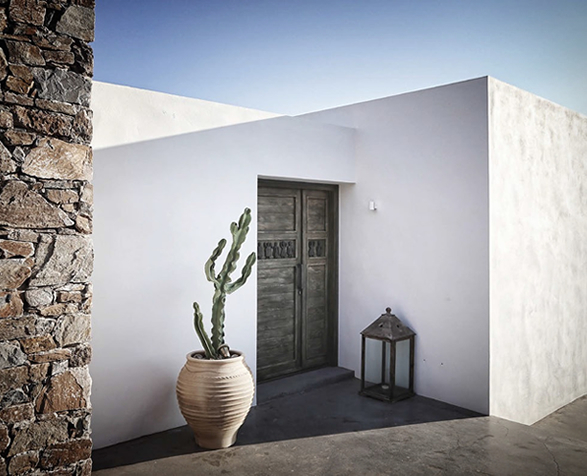 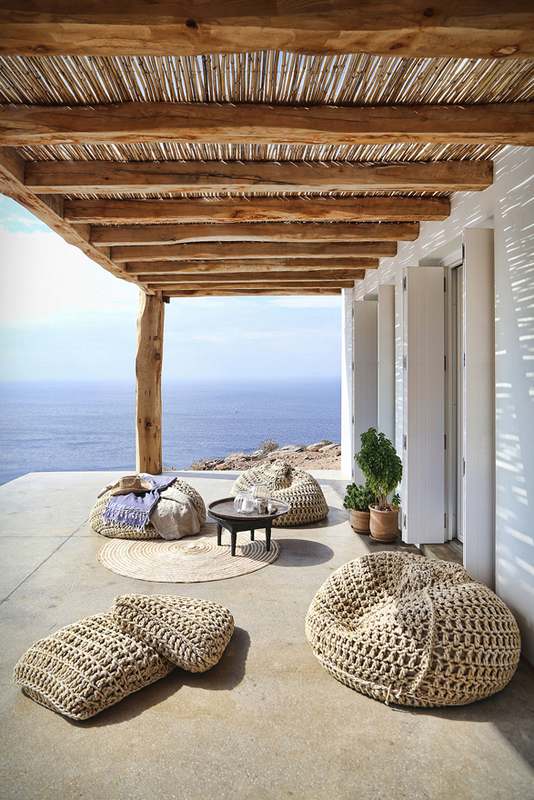 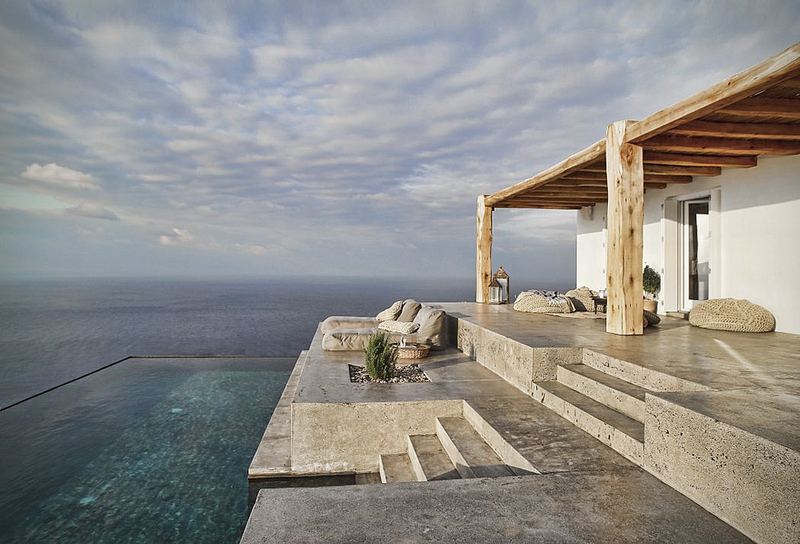 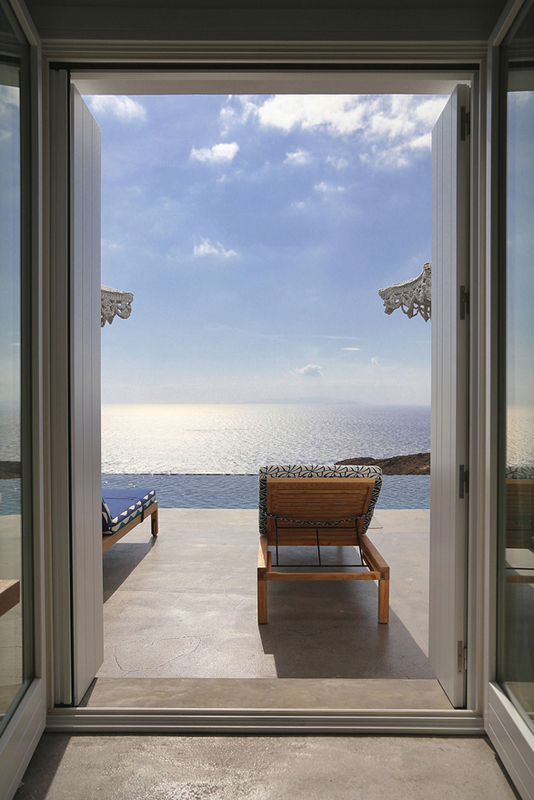 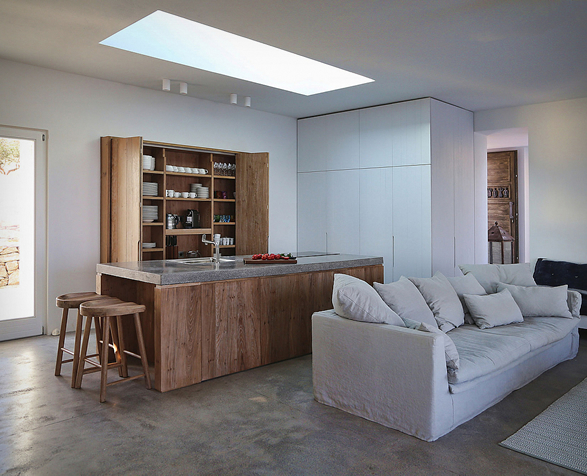 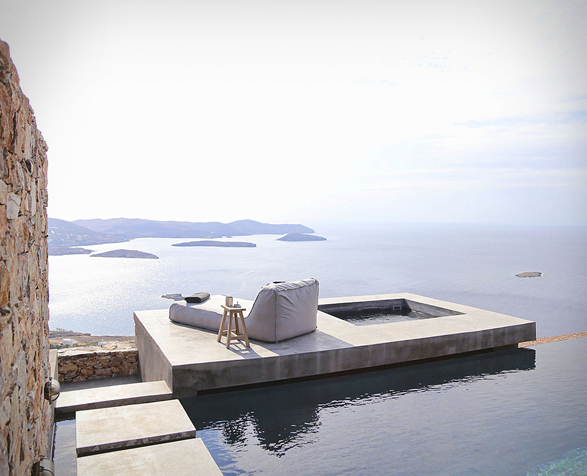 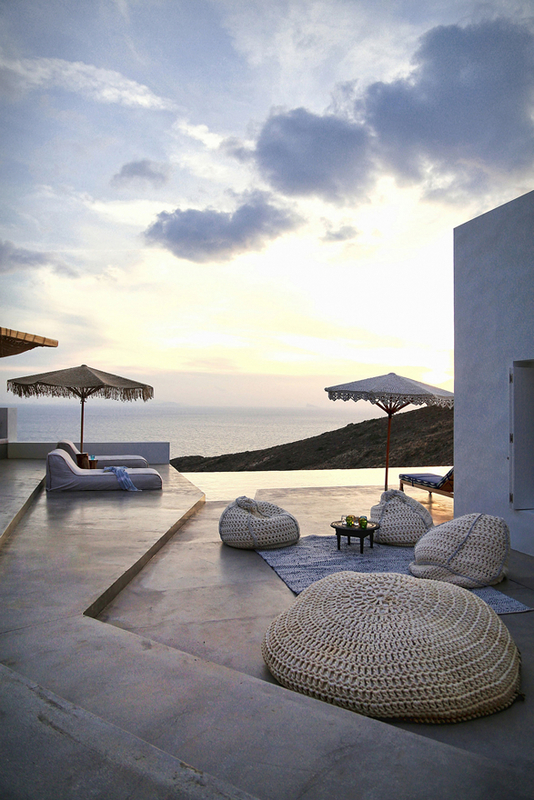 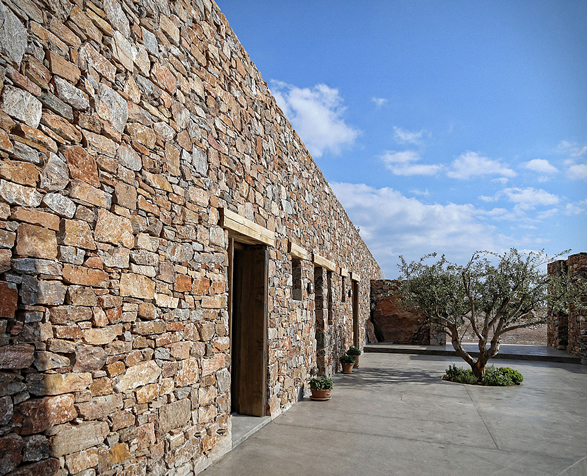 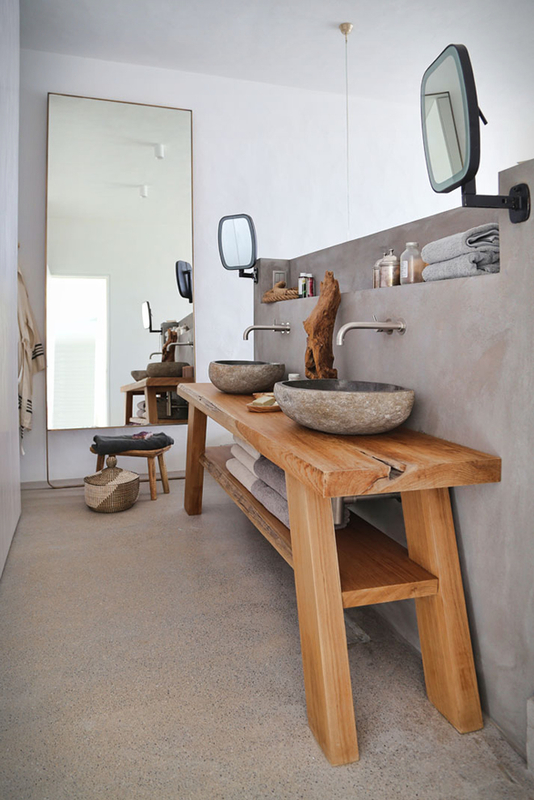 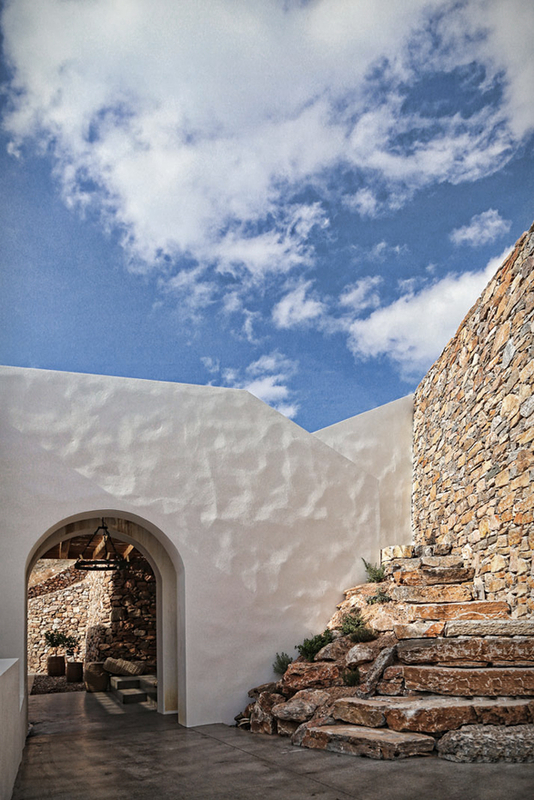 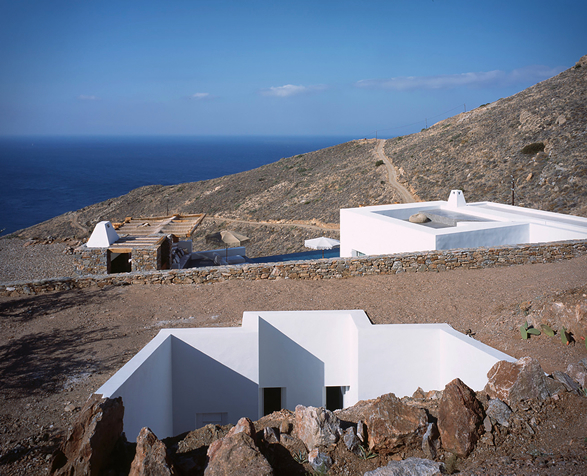 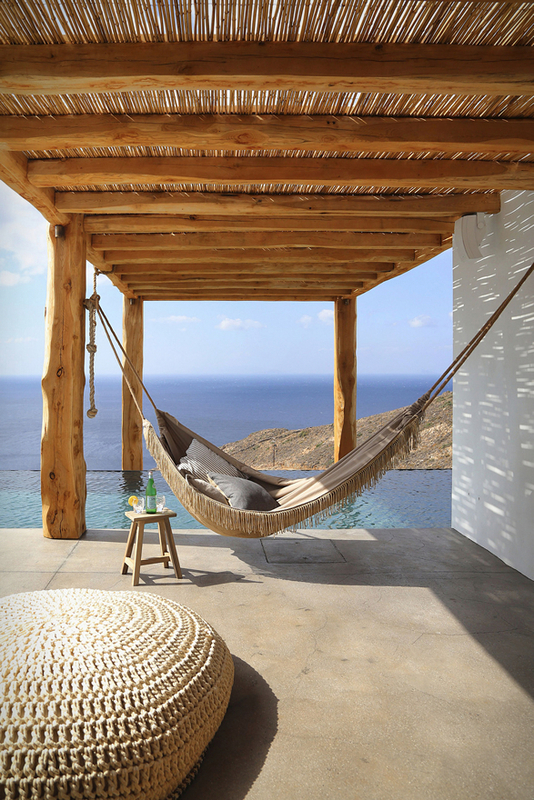 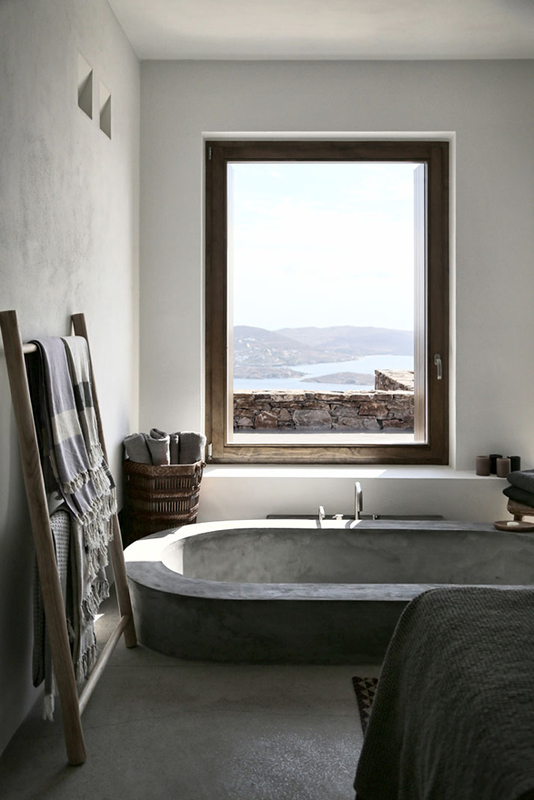 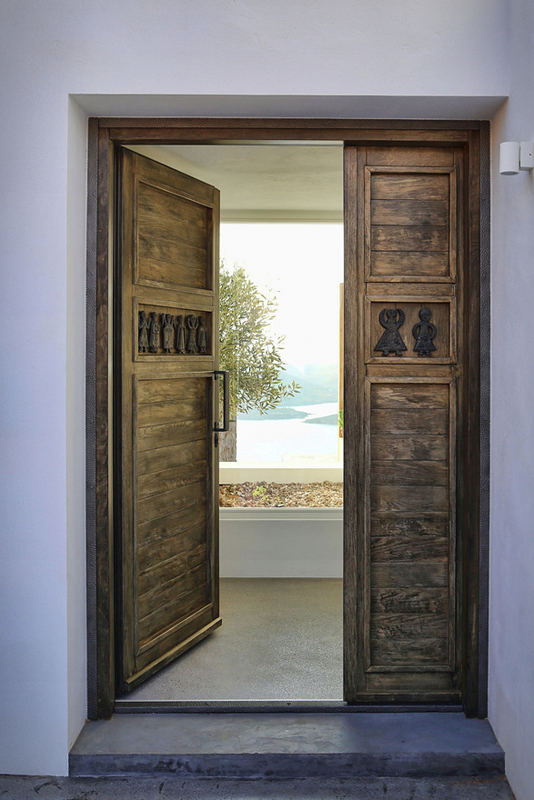 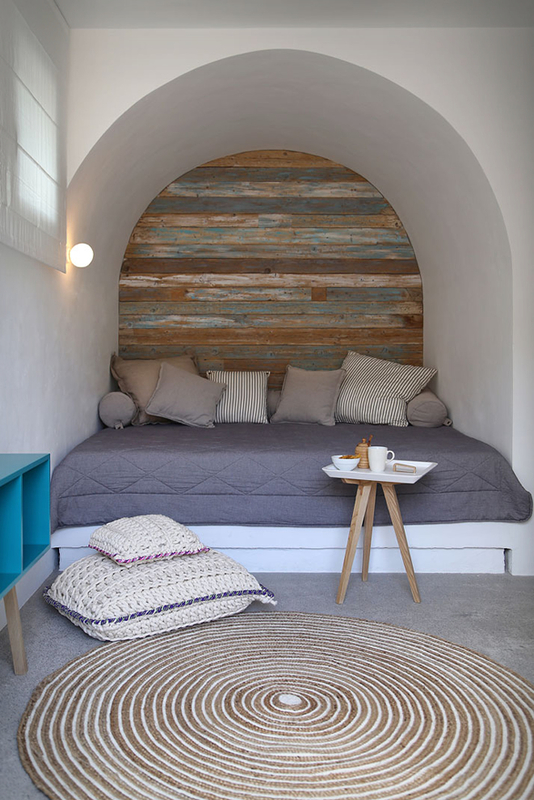 This stunning Mediterranean house is located on the Greek island of Syros. 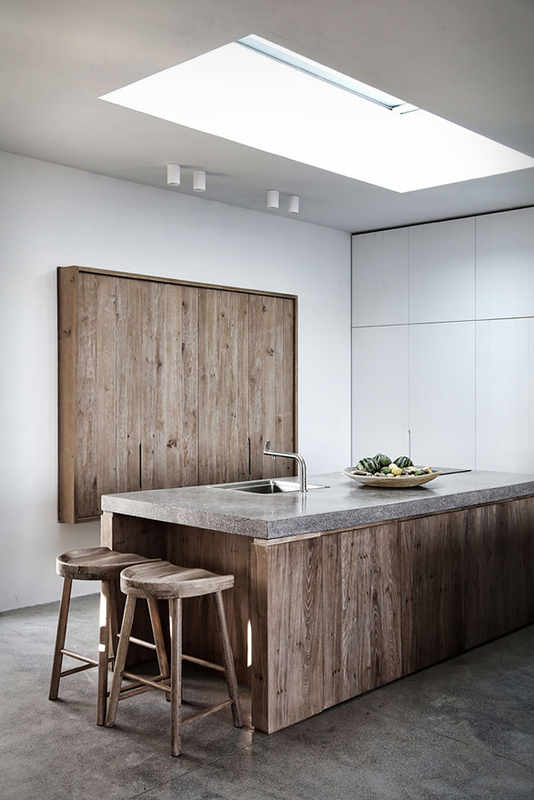 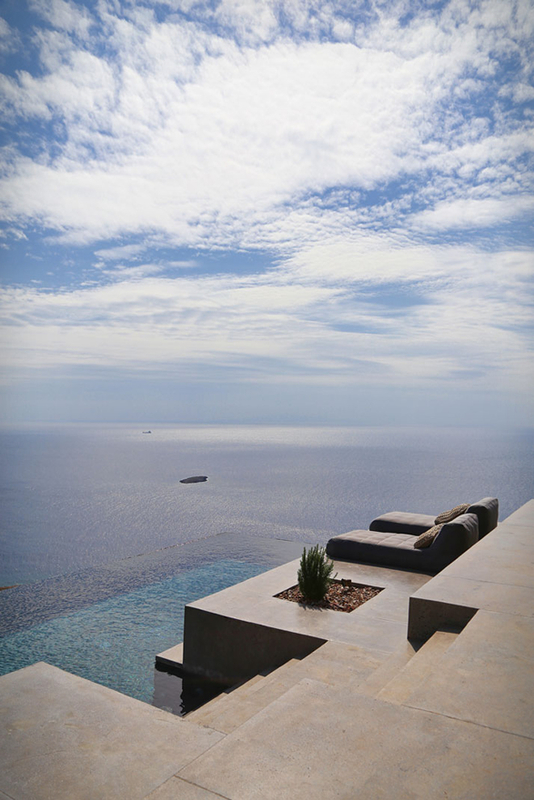 Designed by Block722 (an architecture and interior design studio based in Athens, Greece) this summer house was adapted to the steep, dramatic topography and is positioned to maximize the view of the breathtaking Plagia bay. 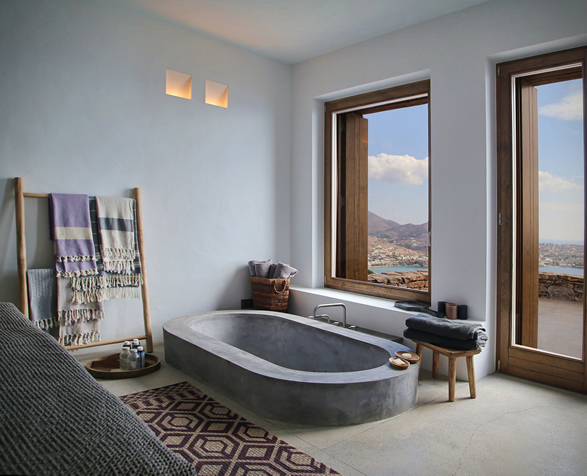 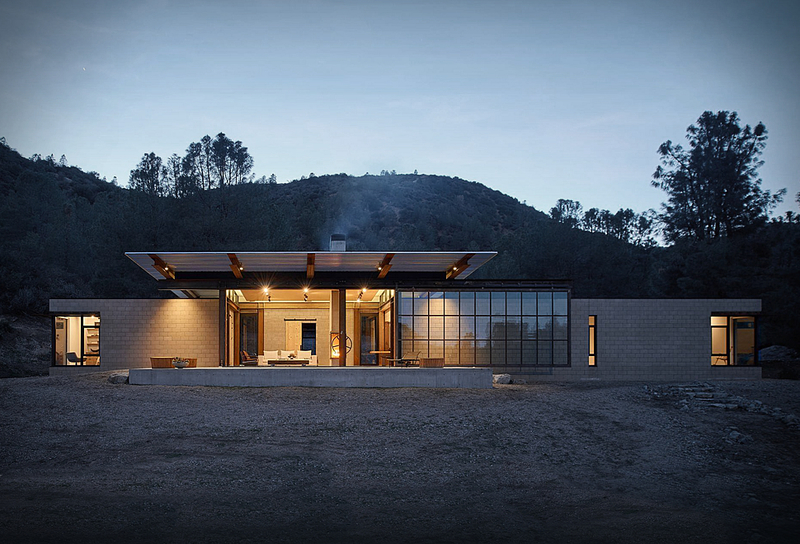 The house and four separate guesthouses that offer the perfect retreat space for the owners and their friends, with open outdoor areas, open plan rooms, large windows, and glass doors that provide magnificent views of the sea and distant mountains. 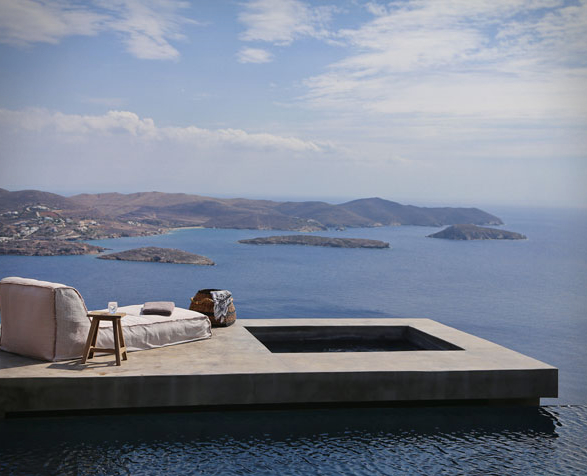 The large infinity swimming pool also appears to suspend dramatically over the Aegean sea.